My June trip to Paris continues to inspire ideas for work and plant seeds for various projects. 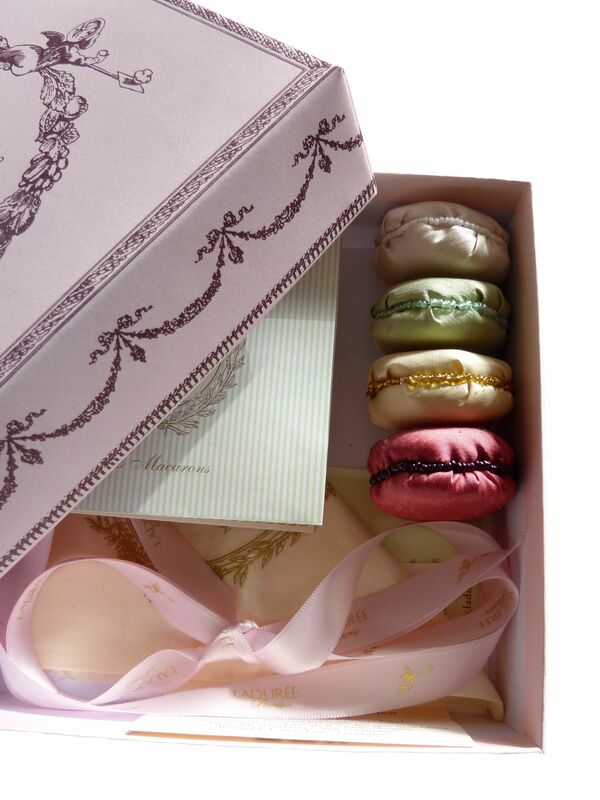 One that I have started is filling an empty Ladurée macaron box with handmade silk ones. I can never bring myself to throw out an exquisite box and I have a collection of special boxes that once contained chocolate or champagne and now are full of handwritten letters, cards and trinkets whilst also being a reminder of the occasion their original contents were part of celebrating. 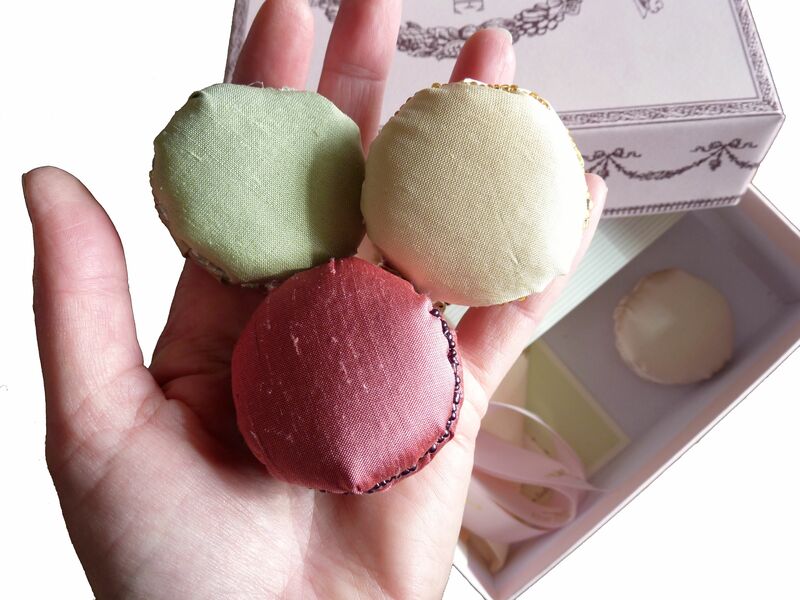 The Thai silk I frequently use in my studio is the perfect texture and lustre for the macaron so I have been rummaging in my scrap boxes and matching up the colours with the flavours on the Ladurée selection card which is like a miniature paint chart of delicious colours. Jean-Paul Hévin was actually my favourite shop for macarons in Paris, particularly the fig and chocolate ones and the orange gingerbread. But on the last day I just had to buy some from Ladurée to bring a bit of Paris home to share … and have one of their beautiful boxes! Update: You can see how this project has progressed in the post Spilt Wine. I so love your fairy dresses as you know, but think the idea of making silk macarons is quite brilliant Sandra!